Well, I am finally ready to disclose how I made her apron. You only need a few hours, a piece of old white bedsheet, a ribbon and some textile paint. Taka care of your raw edges to make sure they don't come apart: you can serge them, put bias tape, or, as in my case, fold twice, iron and sew. ...and add ribbon ties to the upper part. I chose that closing so it could fit not only my model, but also the 8 year old girl who donated her old bedsheet for the project. 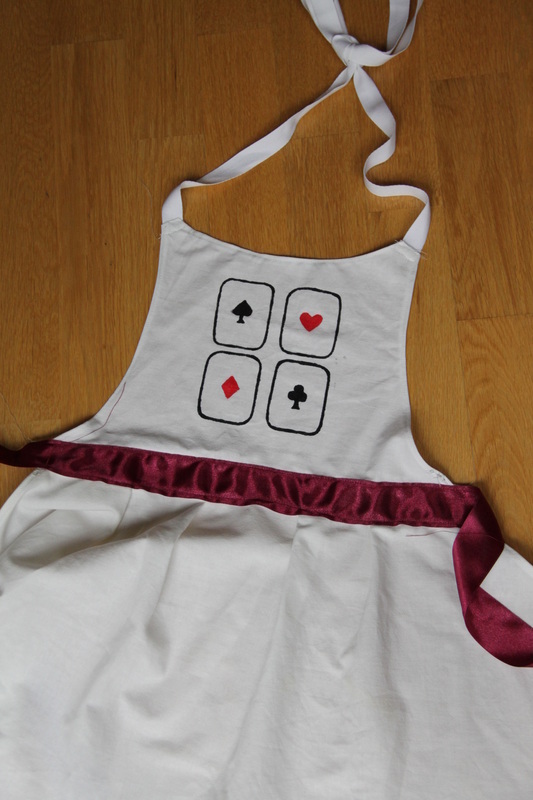 Paint some playing cards (I know, not the original Alice's apron, but quite recognisable). 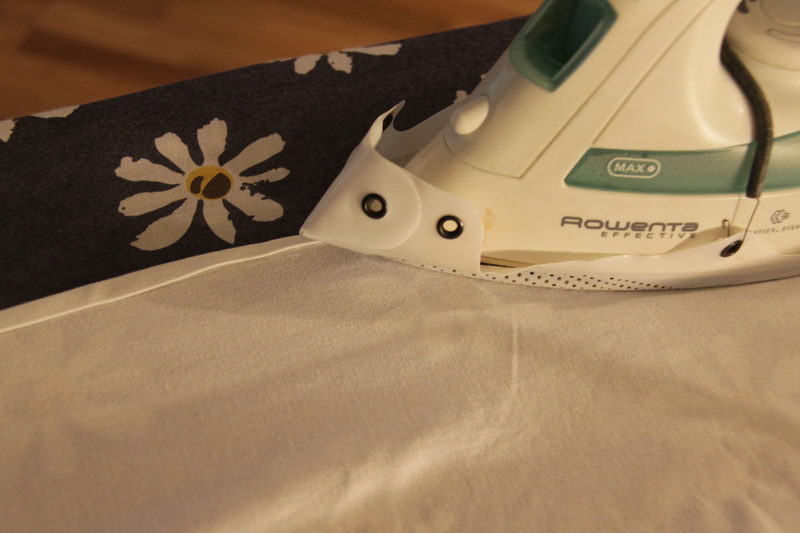 Let dry, iron, and you are done! Happy crafting from me and let there be more Alices!